NOTE: this web page was written in 2001. Prices have gone up considerably since them. This antenna was created as a fun project to illustrate that you don't have to spend a fortune to enjoy amateur radio operations. It is NOT to be considered as an efficient antenna, or even a good one. Consider it a bootstrap device to get you started. For more information on better antennas, please get a copy of Practical Anenna Handbook by Joseph J Carr, The Antenna Book by ARRL or any of the dozens of antenna books available. Please do not ask for clarification or optimization ideas. Use it for fun and graduate to a better antenna as you grow in the hobby. 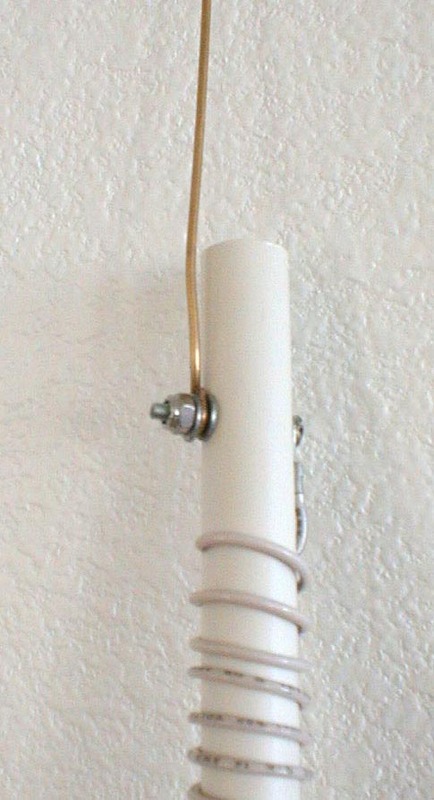 Here’s an easily transportable vertical antenna for 20 meters collapsible to 4 feet that costs about $2.00 to make. This was created as a fun project to demonstrate how to enjoy operating HF in the field with a home-made portable antenna without spending a ton of money. Bev AH6NF (YL) made this antenna, tuned and ready to operate in less than one hour. 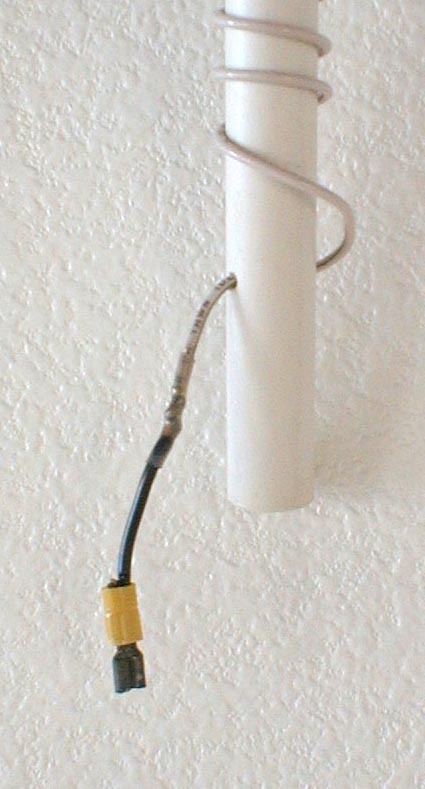 The design is a continuously loaded, helically wound vertical antenna with a three-foot stinger. 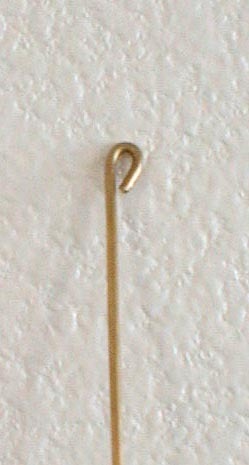 The stinger folds along the four-foot mast for storage. Here’s how to make one. 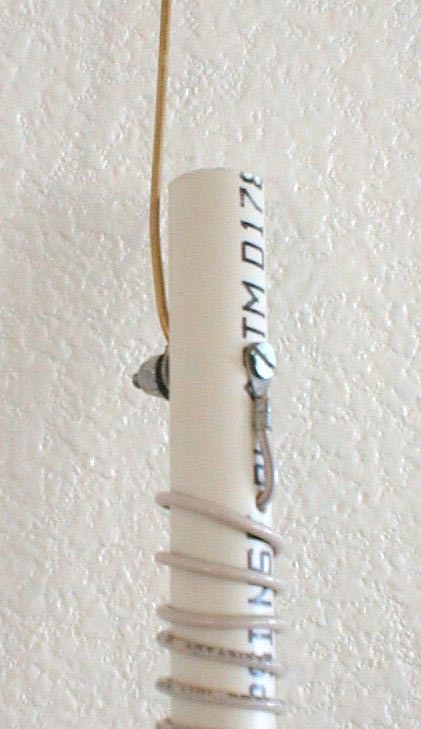 If desired, tape winding in place after tuning.